After an emotional 6-6 tie last Friday against New Hampshire, the Massachusetts hockey team will head to New Jersey this weekend for the inaugural Capital City Classic tournament in Trenton, New Jersey. UMass (3-0-1, 0-0-1 Hockey East) will face off against Hockey East opponent Maine, although the matchup is not considered a conference game. The winner will move on to face either Princeton or No. 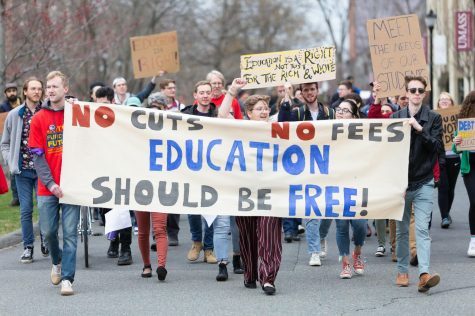 13 Yale on Saturday. Heading into the two contests, Minutemen coach John Micheletto said the team’s mindset is upbeat as they look to continue their hot start to the season. “We’re spirited, (we) had a good practice on Saturday and another good one (Monday),” he said following Monday’s practice. “I think our guys are appropriately energized, yet excited to move forward and get better. One of the great things about our group so far is that we’re taking the positives in stride and not becoming obsessed with the negatives, but know that those will push us to be better. “I think since the tie on Friday, we’ve had that same mindset.” Micheletto added. 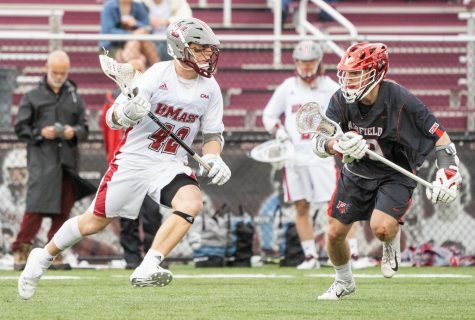 Shane Walsh, who is third on UMass in points with seven and tied for second with four goals, admitted that there was a ton of excitement after the last game where the Minutemen scored four unanswered goals in the third period to earn the tie. 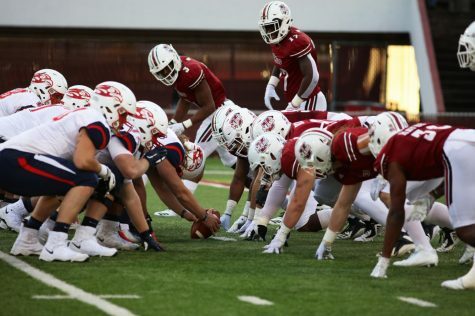 While they have to prepare for the Black Bears (0-2-3), the Minutemen will also be tasked with preparing for one of two Ivy League teams in the other Friday tournament game. 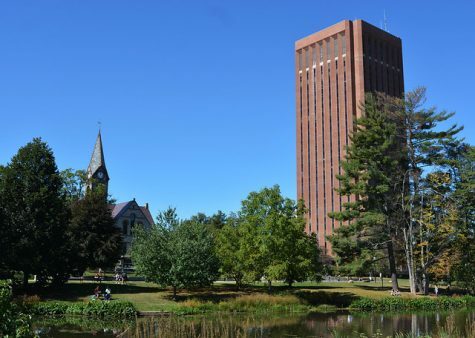 But for Micheletto and the rest of UMass, the primary focus remains on Maine. 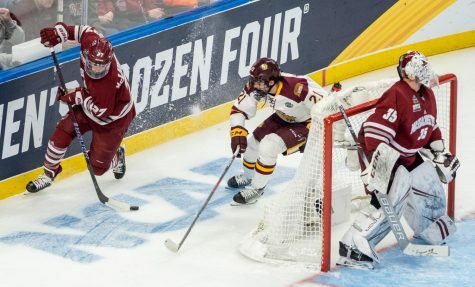 For UMass to produce any offense, it will have to beat 6-foot-4 Black Bears goaltender Rob McGovern, who is currently second in Hockey East with a .930 goals against average. Micheletto recognized the challenge that McGovern will present. “He’s a big kid and obviously a former football player in high school and a good athlete,” he said. “I know not having faced him will be a challenge, they’ve played all three of their guys a little bit here and there, so we’ve got to be ready for anybody. 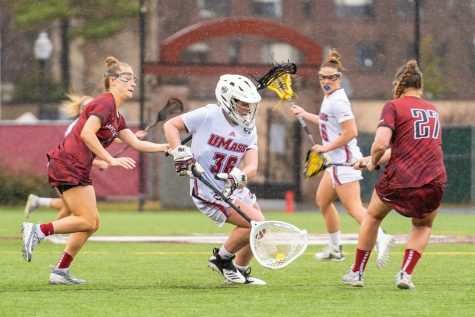 Special teams is also set to play a vital role in this affair, as the Minutemen’s power play is currently fourth best in the nation with a 35 percent conversion rate. 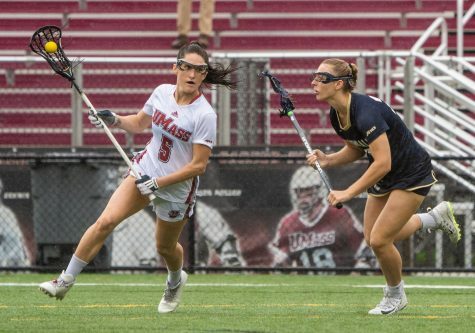 On the flip side, Maine has killed 21-of-27 penalties, converting at 77.8 percent. 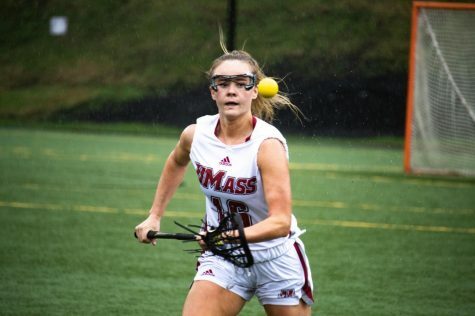 With UMass continuing to pick up attention in the national polls, Walsh said it’s exciting to see the team continue to receive more recognition. “Even me personally, this is my fourth year, so it’s exciting seeing this program moving in the right direction like I know that we can, so its exciting but at the same time we know its early and we just have to keep playing hard,” he said. Puck drop is scheduled for 4:30 p.m. Friday afternoon at the Sun National Bank Center.